I usually write my trimester updates as I step into the next one but with baby girl's due date fast approaching I wanted to get this written before she arrives and I have no time to do anything! The third trimester is between 27 weeks and 40 weeks roughly so here is my update for you. I had a fantastic start to the 3rd Trimester. My blood pressure picked up slightly, I had a lovely break away to Butlins with the boys and generally started to feel a lot more 'human'. I noticed that 'glow' that people talk about for the first time ever and my hair and nails have been super strong! 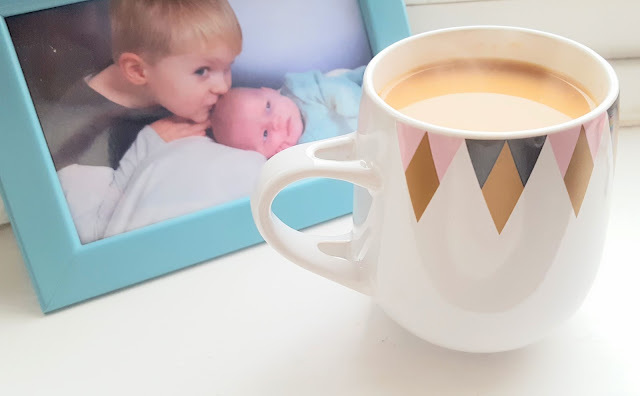 I found myself getting quite hormonal as the weeks went on, crying over the smallest of things and really struggling with pregnancy anxiety surrounding the birth and general day to day things. I have felt really quite isolated at times and it has affected relationships with friends and family. It is so hard to ask for help and but often that is when you need it the most. Work began to get difficult with my hip pain and upon visiting the physio I was diagnosed with PGP (Pelvic Girdle Pain) which really isn't much fun and has stayed with me for the rest of the pregnancy. I was given some exercises but really the physio confirmed that it will be uncomfortable for the rest of the pregnancy but should (fingers crossed) subside once baby has arrived. My belly has grown steadily but slowly, it is quite small in comparison to my bump with Ted and has made clothes shopping a little easier. Most of my old clothes still fit over my bump and luckily at 37 weeks I am only just struggling with my favourite Next maternity jeans fitting over the bump. 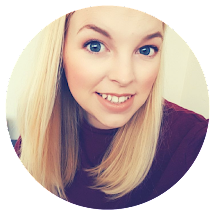 I have embraced my bump by teaming up with the wonderful Secret Saviours to review their belly bands and anti-stretchmark creams. I may be a bit late to the game for stretch marks but the brand is so wonderful to work with and I will be writing up a review post of the products shortly. Last but not least I had my baby shower a few weeks back which was fab and we went on holiday to Anglesey with friends. I was very relieved to make it home with baby still in my tum as giving birth in a remote location in Wales wasn't part of my birth plan! We had a 4D scan at 32 weeks which was just incredible. I meant to write a full post on our experience but just haven't had the time. Here is a little picture of baby girl for those of you that want to see it. She is so much like her brother and the scan has really helped us to bond with her. We decided to share her name with the world after our scan so I would like to introduce you to Callie Enid McDonald! This is something I know a lot of people frown upon but it really helped Ted to bond with his little sister and it is lovely going to midwife appointments and her having a name. We had a bit of a worry at 35 weeks that she was measuring in small but it turns out my bump is small but she is right on track to have a birth weight of 7-7.5lbs which I am happy with. She is healthy and happy, kicking away lots still and has stayed in the same position for weeks now. Head down, back on my left side and feet and arms pushing out of my right side. I went on Maternity Leave from work early as I couldn't sit at a desk for 8 hours 3 days a week with the PGP. It has given me time to rest but the boredom is kicking in now. I need to embrace the peace before I am up to my eyeballs in bottles, nappies and sleepless nights! Enjoying being a family of 3 for a little while longer! Following an appointment with the VBAC team I was quite positive I could have the birth centre birth I mentioned wanting so badly in my last update. I then went to see my consultant who was quite negative about the idea insisting that baby be continually monitored which meant no birth centre and pushed me to go for a labour ward (consultant lead) delivery. I then requested an appointment with the Matron of the birth centre which didn't go as well as I would have liked and I was told I couldn't have her in the midwife led birth centre. I was really disappointed but accepted they had baby girl's best interests in mind. I decided to concentrate on ways to make the labour suite as comfortable as possible and insisted that I need the room with the birthing pool. That 'touch wood' should be available for me when I arrive at the hospital. For now it is a case of waiting it out. Staying at home for as long as possible once labour starts before heading to the delivery suite and avoiding induction as best I can. I haven't totally ruled out all other forms of pain relief but my plan is to use the water and gas and air and see how I go. I am hoping to avoid an epidural if I can and hoping some relaxing music, low lighting and a nice warm birth pool will do the trick. Not going to lie...I am totally bricking it!!! Eek! I actually have to give birth now! Migraine - I had an awful migraine a few weeks back and started to panic about pre-eclampsia. Called the midwife who said it sounded like a common migraine and not to worry. Toothache - literally felt like my teeth were going to fall out some days! Tiredness - and I mean the type I have never experienced before, just utter exhaustion. Acid reflux - most days this one creeps up on me, managed to keep it at bay by taking Tums which neutralise the acid in your stomach. Braxton Hicks - These bad boys have gotten increasingly frequent with some last week being 15 minutes apart for 2 hours then completely subsiding! Not painful just uncomfortable. The past 2 days have been a bit of a struggle for me. I have had a really upset tummy with diarrhoea for 24 hours and generally feeling exhausted. My hips hurt more than they ever have and I feel so out of sorts. I have been obsessing over the house being a mess and have been really irritable and tearful. I convinced myself that they were all signs baby will be making an appearance soon but as I write this she is still quite content in there and I may have to face the fact that she won't be here until her due date.